While it’s easy enough to get emulation software for 8-bit computers and consoles, you’re never going to be able to relive the proper experience without a flimsy digital joystick and a CRT TV rather than a flashy LCD monitor. We’re not talking about the decent CRT technology found in last-generation TVs and monitors; we mean the Evil Edna-style box that you might have plugged into the RF socket of an Atari 2600 in 1982. However, researchers at the Georgia Institute of Technology reckon that they’ve managed to successfully emulate the quirks of a dodgy CRT on an LCD, in order to enable an authentic retro gaming experience. Anyone who regularly watches DVD movies on a CRT TV will know that compressed movies often appear to be much smoother and cleaner than they are on an LCD TV, simply because the CRT’s analogue nature smoothes out edges and hides compression. 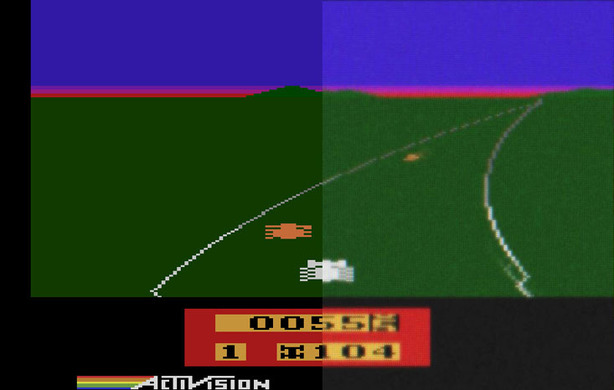 Similarly, old games will look much smoother on an old CRT TV than they will on a current PC monitor. Although plenty of other emulators offer primitive CRT TV emulation, this is the first time we’ve seen a concerted effort to really reproduce the quirks of an old CRT TV on a modern computer. Are the effects of a CRT TV needed to fully appreciate retro games, or would you rather have the clean colours and pixels of an LCD? Which other emulators would you like to see using technology such as this? Let us know your thoughts in the forums. 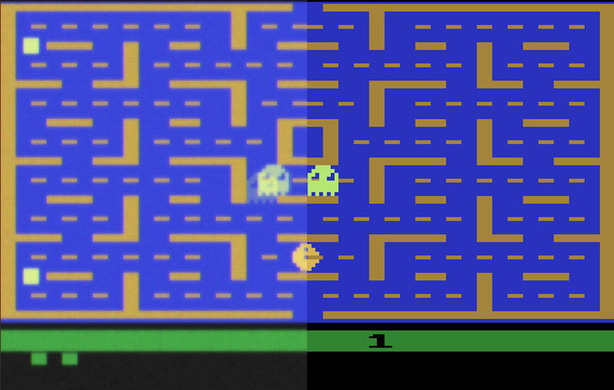 Pac-Man - Note the afterimage effect on the flickering ghosts. Enduro - Bogost says that the bleeding between the multiple coloured lines in the sunset makes the sky more realistic. 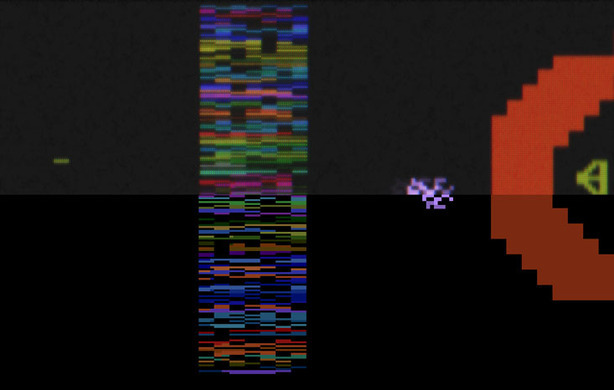 Yars' Revenge - The scanlines give the image a textured feel, rather than simple flat pixels. DotEmu.com has re-release The Last Express, Jordan Mechner's oft-forgotten classic.